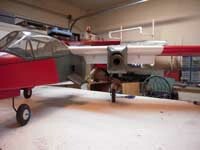 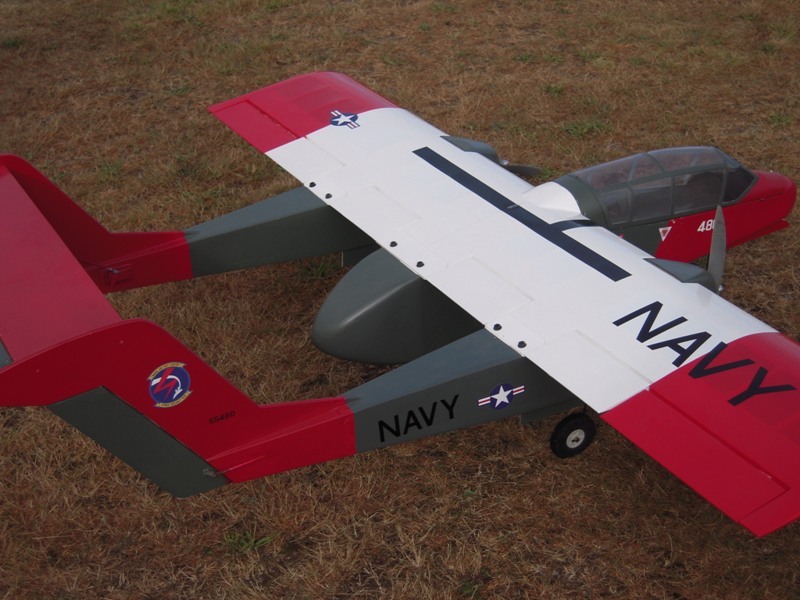 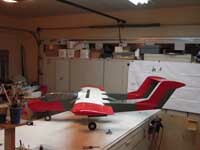 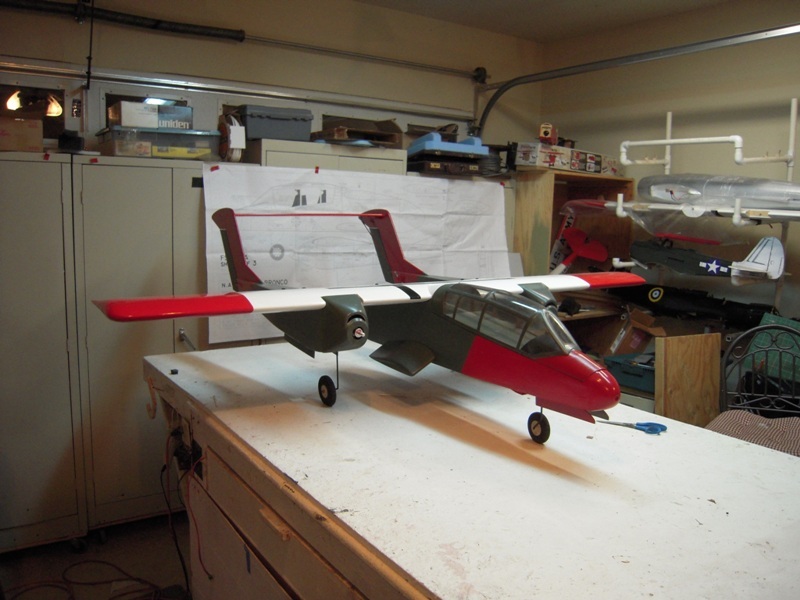 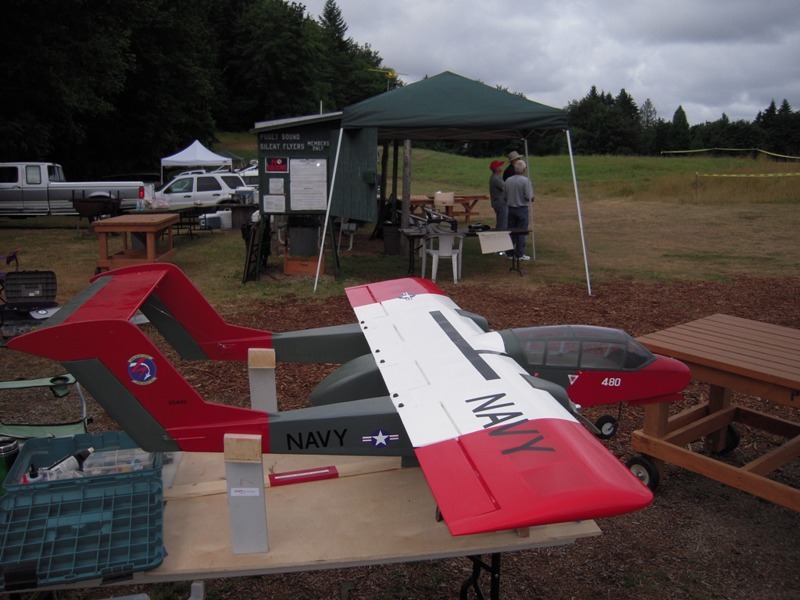 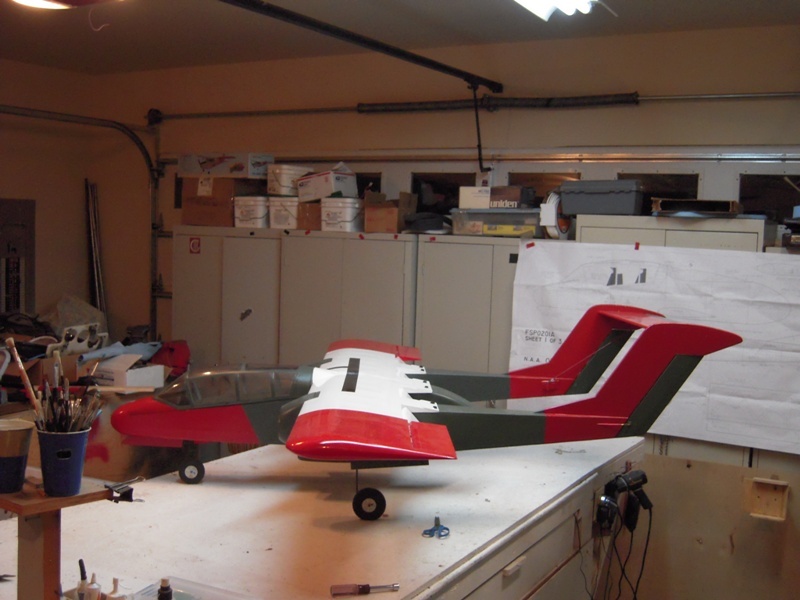 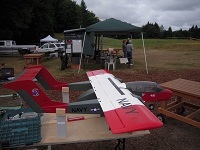 Paul's North American Rockwell OV-10 Bronco has an 80-inch wingspan (6:1) and is driven by twin E-flite Power 60 electric motors. 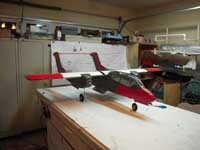 The motors are powered by 10-S 5,000 mah Lithium polymer batteries. 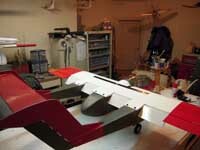 Paul is installing retracts and plans to add a cockpit and weapon stations.